Dr. Hollis Monroe specializes in short-terms relationships, typically eight months or less. As an obstetrician dealing with high-risk pregnancies, she spends all her time and energy in caring for women at a nice, comfortable professional distance until she delivers their babies and can walk away. They're happy, she's satisfied, and no one gets hurt. The perfect relationship. Pregnant mother-to-be Annie Colfax is alone and barely making ends meet - she didn't plan on starting a family by herself, but she's determined to succeed. All she had to do is survive. Neither woman wants a relationship, but fate brings them together at a crossroads that will change their lives forever. 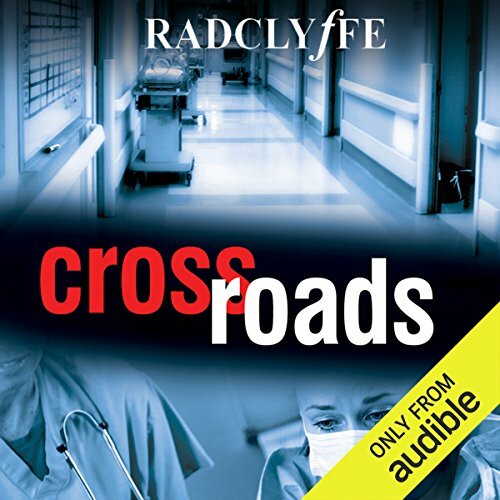 ©2012 Radclyffe (P)2013 Audible, Inc. The narrator makes the story! Would you consider the audio edition of Crossroads to be better than the print version? I didn't read the print version (although I own it...oops, double purchase), but I think that Lauren Fortgang MAKES this story. 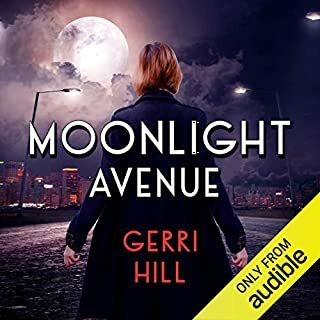 She is an excellent narrator, and each character has a distinct voice, especially Annie and Hollis. There was never a question over who was "speaking" in the story. So I highly recommend the audiobook version of this book. I am not sure if I would have enjoyed the print version as much without Fortgang's narration. What other book might you compare Crossroads to and why? I've heard that this book is a lot like Radclyffe's other medical romances. I haven't read any of them, but I plan to, so I might edit this review someday. Good but not her best. What did you love best about Crossroads? The reintroduction of Honor Blake and Quinn Maguire. What was one of the most memorable moments of Crossroads? The conversation between Arly and her mom when 12 year old Arly was asked to a party by a boy who was 16. I loved the image of Honor had of Quinn throttling the boy. The distinct voice variation between Annie and Hollis. If you could take any character from Crossroads out to dinner, who would it be and why? Annie Colfax because I'm a sucker for blonde hair and green eyes. 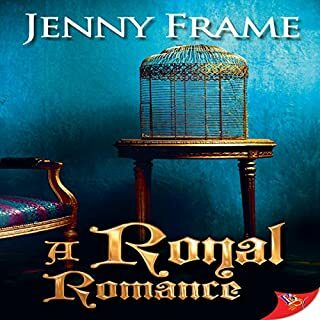 I noticed a lot of reviews of this audiobook were critical of the novel's author for becoming boring and predictable with her storytelling. For myself, this was my first introduction to the author, Radclyffe, and I found the story to be enjoyable and felt the narration of the book was excellent. 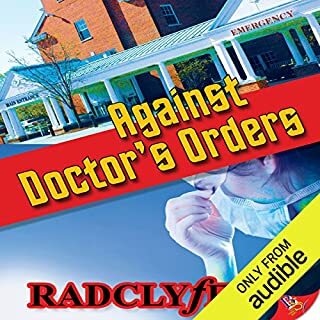 I held off at first from giving Radclyffe's novels a try because I noticed that most off her novels available on audible.com centered around characters in the medical field. Not being a part of that field, I wondered if I would be able to connect with the characters. 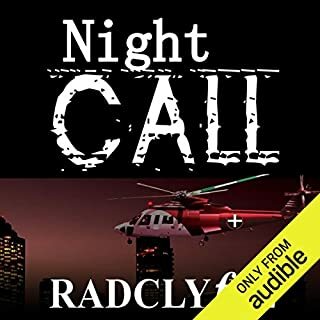 I was pleasantly surprised and have enjoyed each Radclyffe audiobook that I have heard so far. I recommend giving this audiobook a listen and I, myself, have listened to it several times. Yes this is alot like some of her other story lines all mixed together, but I feel that is what drew me to it. I loved spending time with all my favorite characters from Fated Love. it's nice to know how happy they still were. 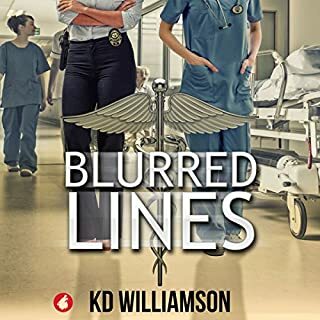 the Author did a great job building tention Good and bad between the two main characters. I can see how ground braking this relationship was for the story line. I could truly see it happening in the real world. the flow of this story was easy to follow. each Character was easily identified thanks to the wonderful narration. I found this book to be an extension of her earlier book so I was excited to listen to it. and I was not disappointed. And I don't think you will either. This is a great love story with real life problems. The only down side... is we don't get to hear about linda and her baby to much at the end. one of the best narration!!! I love Radclyffe writing. After reading lots of her books I feel like bring spoiled and allow myself to be picky. it is a great book but there are some others that I like better. It is the narration who elevate the experience to pure pleasure. Would you listen to Crossroads again? Why? Yes, I have listened to this book a few times, and I just love it! A must read!! Excellent book, the author rocks! I felt like the story dragged on, when they finally got together it was just fast and that was the end of the book. The belly of the book was all mundane and then they’re moving in together. The narrator was great. The book wasn’t great for me. Enjoyed it, great story line, believable characters ..wonderful live story. Reader did very well telling the story. Time jumps too much and the ending is too abrupt as always! I want more of the after part when they’re finally together!! Hollis saves Annie’s life and that of her baby but tough operation meant no more pregnancy for Annie. Four years later they’re assigned to evaluate a program to coordinate Hospital and Midwife programs. Can they overcome past problems to move forward as friends and more? Great performance. A bit too much like the other stories for me. I have enjoyed other stories by this author, however, for some reason I found this one lacking overall. It just seems a bit too much like the same thing rehashed somehow, but that could just be my personal take, I have no doubt there will be others out there who enjoyed it and that's fine. It's not bad, just personally I do not think it is not the best by this author. all the moment that Annie kept on lusting at Hollis' arse until she finally confessed. Have you listened to any of Lauren Fortgang’s other performances? How does this one compare? no, this is my first book by her. actually no i was just waiting to see if Annie would really let Hollis walk away from her and not do anything about it. but it was really a good book despite it not having a lot of intimate scenes. I didn't mind the narrator's natural speaking voice but her voices for the characters really grated and annoyed me. It really feels like the author is just rehashing old fanfic stories (and I've read plenty of fanfic). For me the story was just too slow and boring and felt like it was following a trope. The preview synopsis is not good enough for the well written story. Radclyffe has done it again and i am a new addict for her books. Great stories with sexual tension and wonderful story lines. If you are gay, straight, bi or otherwise - it makes no difference if you love reading - this is worth your credit. Give great writing a chance and you will enjoy!.